This year, from August 30 to September 8, American and European film stars head to the small coastal town of Deauville for the Deauville American Film Festival. Since 1975, the festival has sought to highlight the best of American cinematography. This film festival in particular has hosted a number of notable premiers, including, Rush by Ron Howard, Wrong Cops by Quentin Dupieux and Blue Jasmine by Woody Allen— as well as tributes from various film personalities. 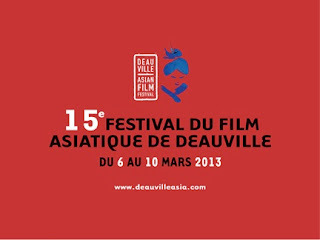 The idea for the Deauville Film Festival was born of the passion shared by two men, André Halimi and Lionel Chouchan. They both loved American cinema, and dreamt of sharing their love of American cinema in Deauville. The seaside resort town was the perfect location for showcasing a smaller and more intimate film festival, which over the years has gained international recognition. It is now recognized as the ephemeral site where young and rising American directors are discovered and acknowledged. The Deauville Film Festival has created a space where films come to life, and where dreams of directors are realized— it is truly something not to be missed if your are in or around Deauville.